indicate in the notes the time you want to deliver. Delivery services to floor available. Orders placed from 7 December 2018 to 7 January 2019 may be delayed due to the Christmas holidays. Zefiro III is a perfect home forniture for the living room, that can be placed on the floor or hung to the wall. 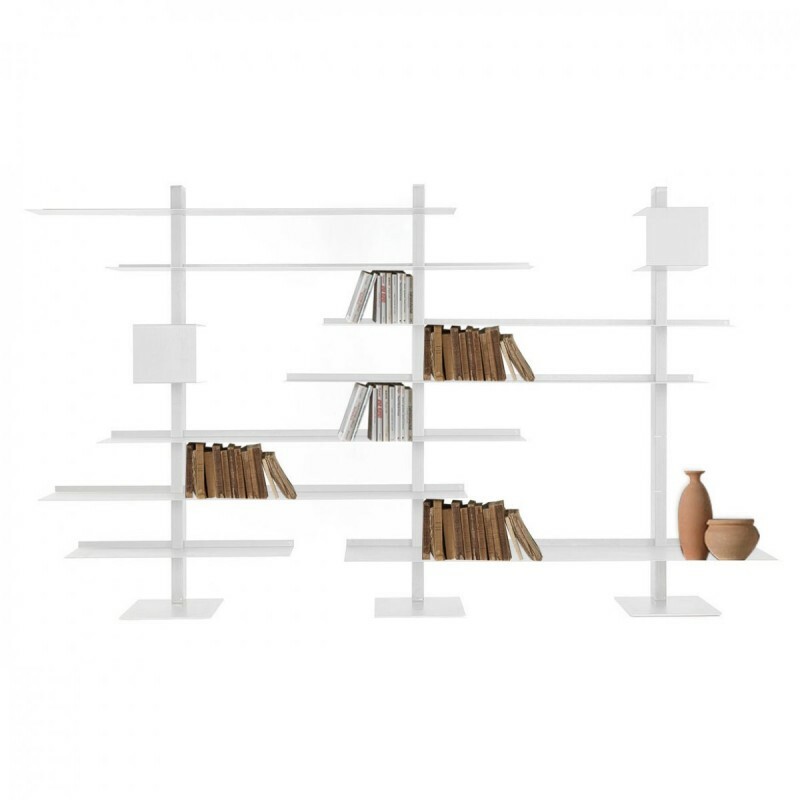 Zefiro III by Siderio is a perfect bookcase not only to place books and objects but also able to house a television set - a dynamic and scenographic composition that gives personality to any room. Zefiro III is a modular wall composition that includes three upright supports and a number of horizontally placed shelves. Designed and manufactured in Italy by Siderio, Zefiro III is made of steel sheet and is available on sale online in a wide array of wonderful colours, ready to decorate your sitting room or living areas with a decidedly sophisticated look. You are spoilt for choice. You can select your favourite shade among white, charcoal, steel and rust. The first one is perfect to give light to your rooms. White will go with any kind of décor, from modern to traditional, from minimalist to rich in details. Siderio has designed its collection respecting two rules: easy to set and flexibility of use. 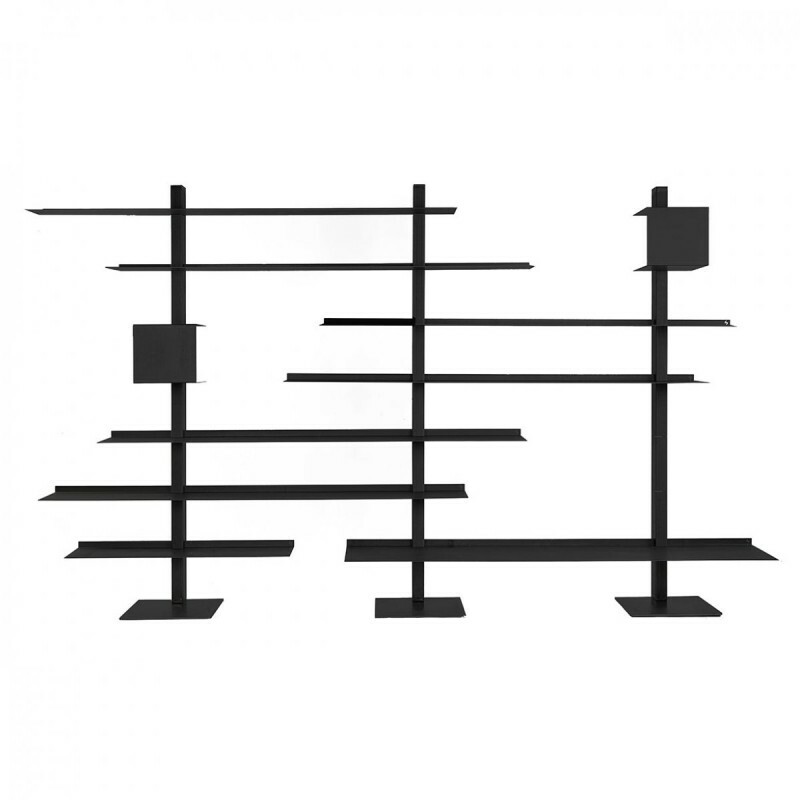 That’s why it has studied a new innovative patent that allows to assemble (and disassemble) the bookcases in few seconds, to redesign the spaces of your life depending on your feelings and your needs. The starring material is painted steel, a material with a strong visual impact with an authentic and contemporary taste. The support base hold up all the structure. Everything has been though in every detail. You only need the right accessories for a quick and easy installation. Siderio designs furniture and bookcases in motion. This Italian brand takes great pride in providing you with everything you need for your daily needs, plus a breathtaking style. Zefiro by Siderio is also available with two uprights, in the same choices of colours. Other details Instruction and materials for posting included. © 2017 SIDERIO. All Right Reserved.